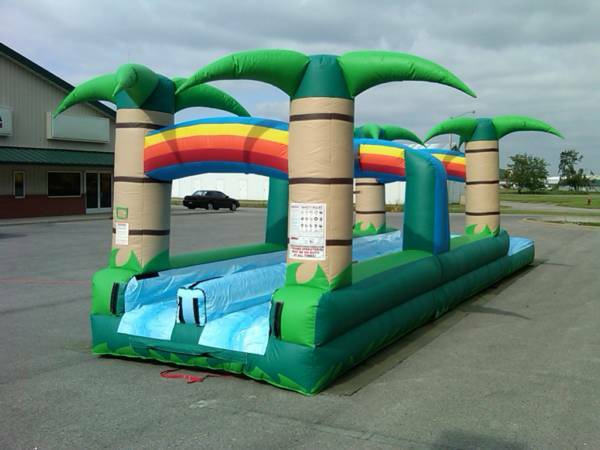 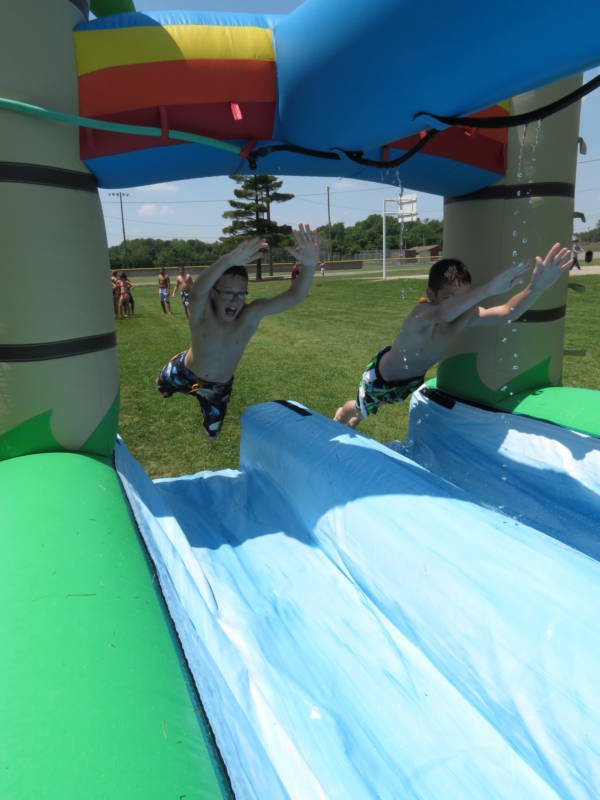 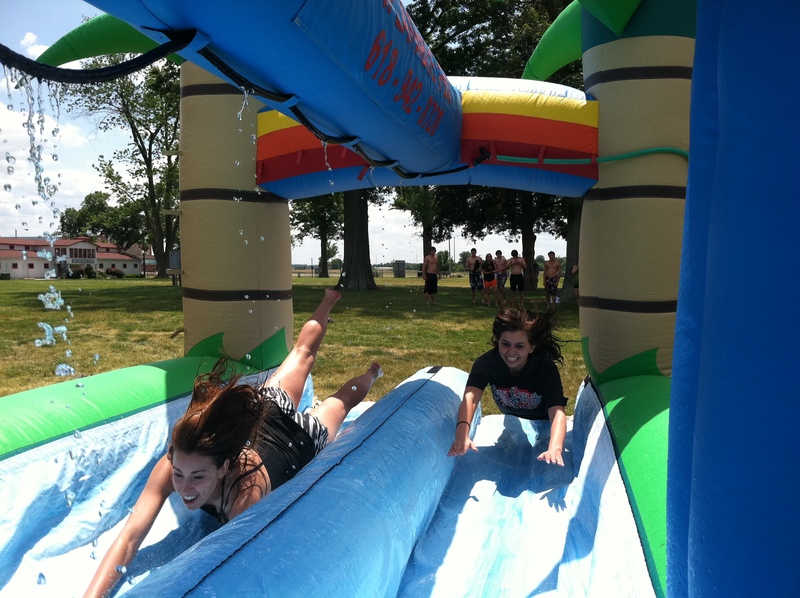 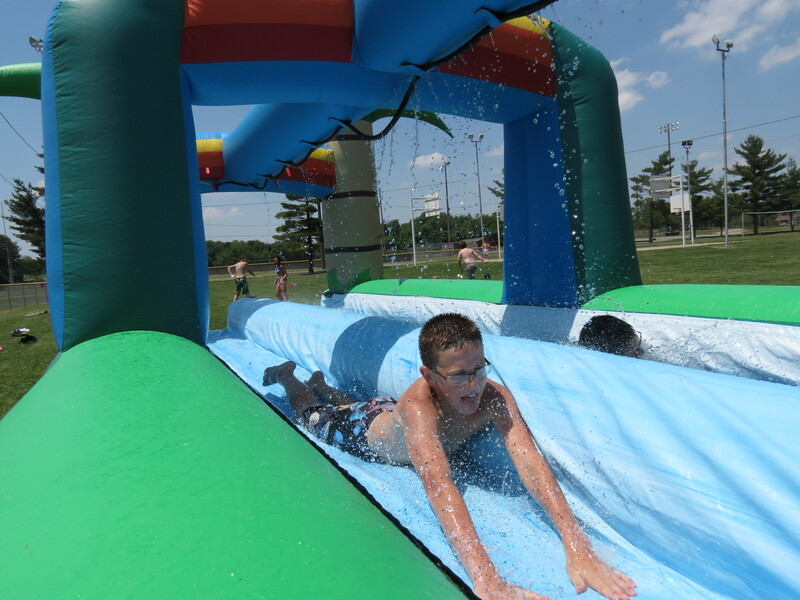 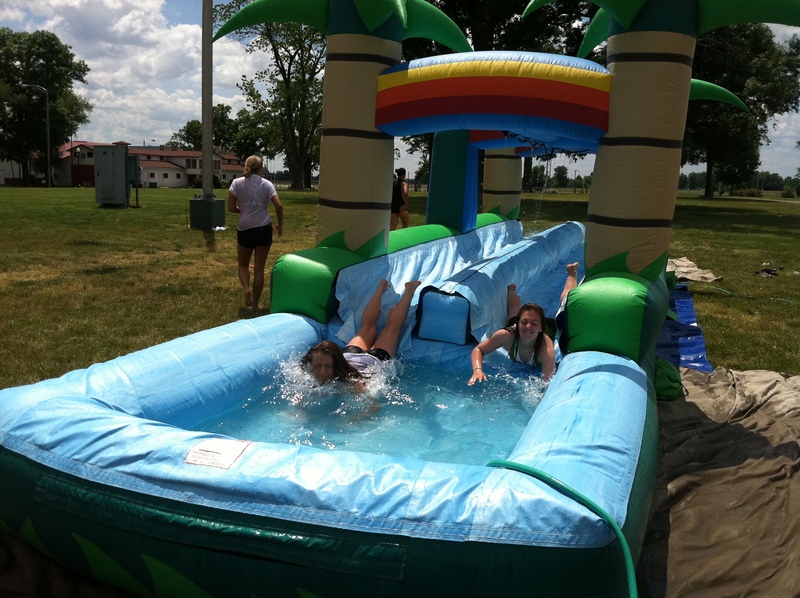 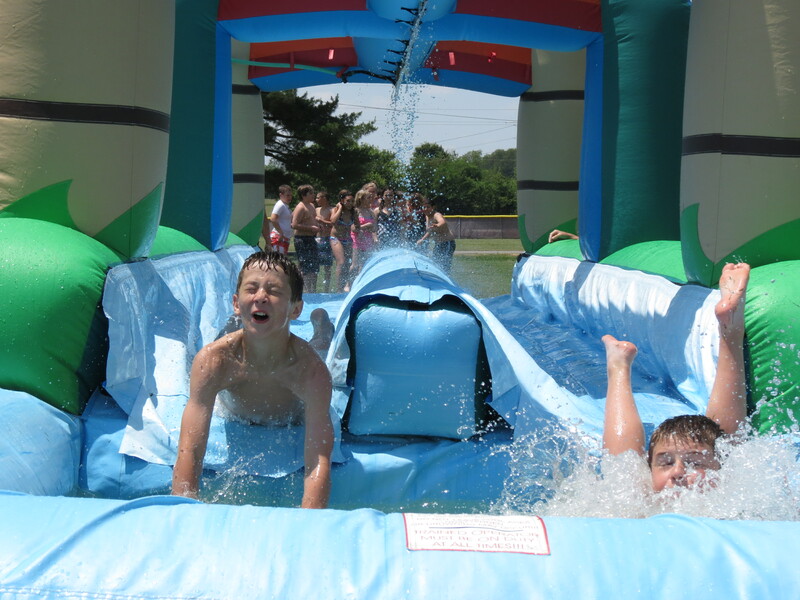 Tropical Slip N Splash: The Tropical 2 Lane Slip N Slide is 31′ long with dual lanes allowing for twice the fun. Players can race each other to the splashdown pool at the end, get back out and do it again. This beautiful unit is as pretty to look at as it is fun to play on. 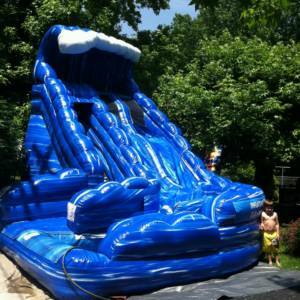 This takes the concept of a Slip-N-Slide to a whole new level. 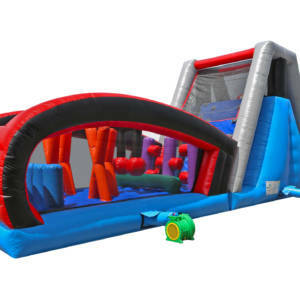 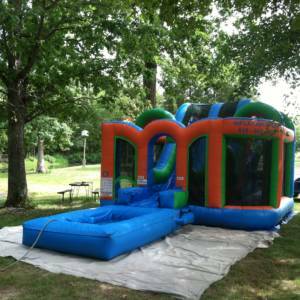 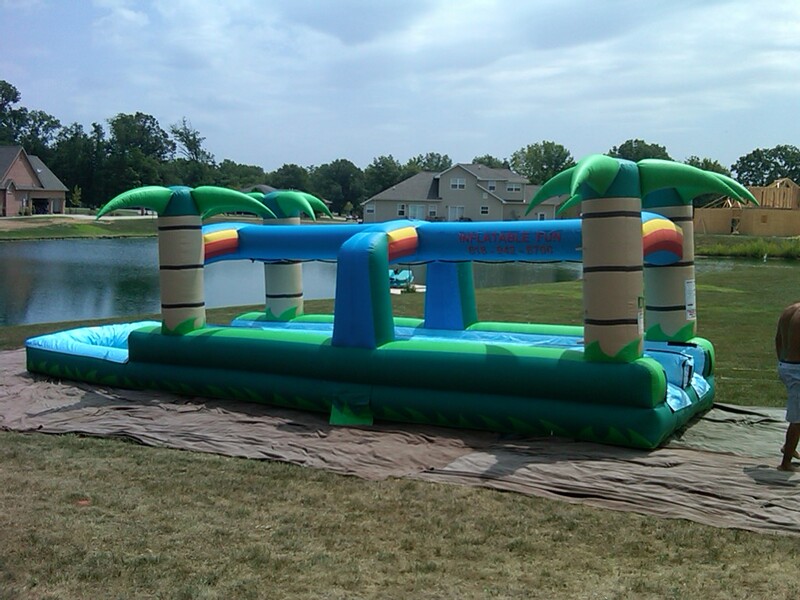 Contact Us at 618-942-8700 to Reserve Your Bounce Today! 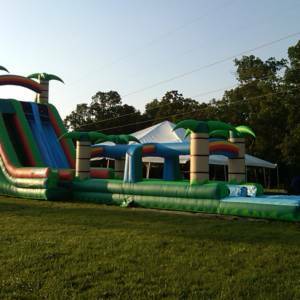 Inflatable Fun © 2018 All rights reserved.